About six months ago, I made the decision for my family and I to go gluten-free. Gluten is a protein found in wheat, barley and rye. For some people, gluten cannot be tolerated in their digestive system and can develop adverse reactions with many side effects that can be harmful. The hardest obstacle most face with gluten sensitivities face is having to deal with the struggles of possible cross-contamination when eating out. While no one in my family actually have an allergy to gluten, I did find that after eating meals containing it, I felt sluggish and even bloated afterwards. I also read that by eliminating gluten from children&apos;s diets, some benefits can help with focusing and attention spans, something I definitely wanted to try for my son who has some trouble paying attention in school. Even though the best treatment for gluten sensitivity is to live a gluten free lifestyle, it is sometimes hard to achieve especially when dining out or away on vacation. I recently discovered, Glutagest, a dietary supplement that supports digestion of gluten-containing foods. Glutagest is a non-GMO, non dairy, animal and gluten free supplement that contains a probiotic strain. Their unique and patented Bifidobacterium longum ES1 targets and breaks down undigested gluten peptides as well as boosts your immune system to maintain a healthy balance in your gut. When I know there is no way of avoiding gluten, I simply take 1-2 capsules of Glutagest 5 minutes before eating and then 1-2 capsules following your meal. When using Glutagest before and after a meal containing gluten, I get the same effects as if I were eating something gluten-free. 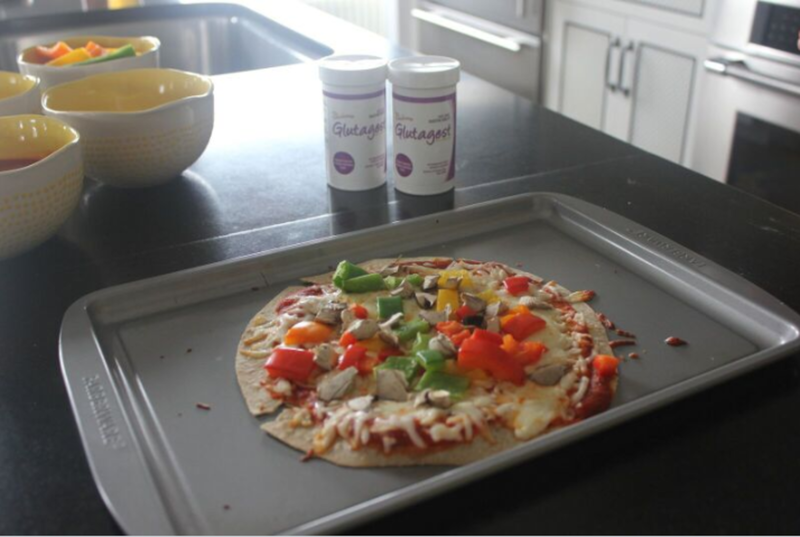 I even tried the supplements with the ultimate meal containing gluten, pizza, and felt completely fine afterwards. I also found Glutagest super helpful when we were traveling outside the country and could not avoid Gluten in any way. The one thing I suggest is that you must plan ahead when using Glutagest, as you need to take the supplements before you have something with gluten in it. 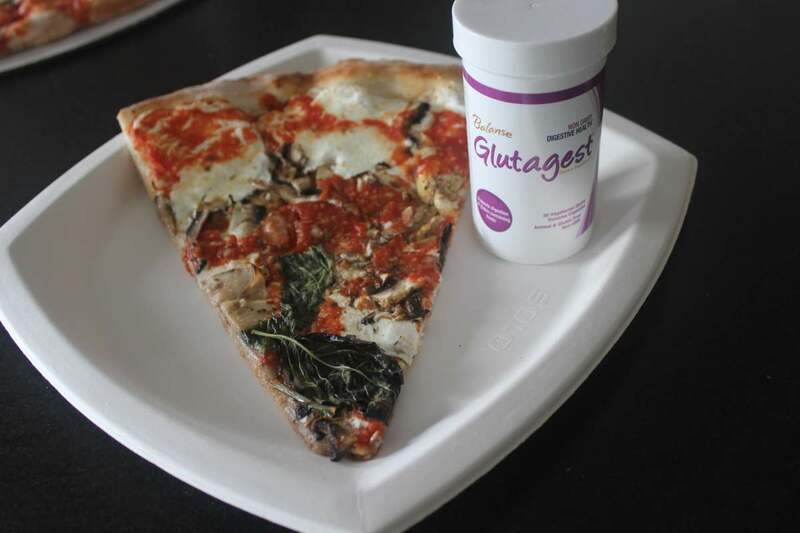 Glutagest is a great alternative for those trying to maintain a gluten-free lifestyle and sometimes want to have the gluten without the side effects.